We offer a wide selection of laser electronics including laser diode drivers (benchtop, OEM modules, and PC board), TEC controllers, and Pockels cell drivers. Our broad range of desktop laser diode drivers are designed to meet your exact test needs, from 100 milliamps to 20 Amps. They include unique features not found on competing products such as an optically isolated photodiode and modulation inputs, programmable PD bias, and both RS232 and USB computer interfaces. They also have laser diode protection circuits such as interlock, ESD protection, and hardware limits for current and voltage. Our OEM driver boards are an attractively priced solution for your pulsed, QCW, and CW laser needs. The standard products below represent statements of capability. Most of our drivers for OEM production are customized to meet the requirements of the end user. Please contact us today to discuss the specific needs of your application. Use the filters along the left side to narrow the search to your requirements. More details on the filters at the bottom of the page. Combo Driver / Controller includes both the laser diode driver and the thermoelectric cooler (TEC) controller in an easy to use Benchtop or OEM solution. Laser Diode Drivers are available in Benchtop, OEM, and PCBoard configurations. 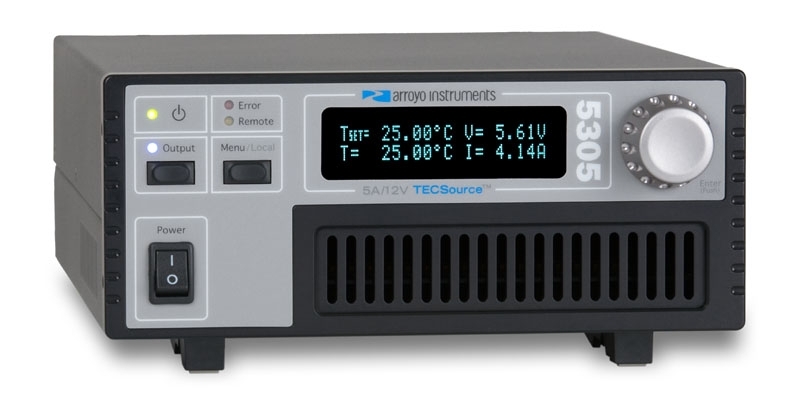 Temperature Controllers are available in Benchtop, OEM, and PCBoard configurations. Pockels Cell Drivers or shutter drivers are available as low-cost PCBoard configuration. Current – Defines the current needed to drive the laser diode. 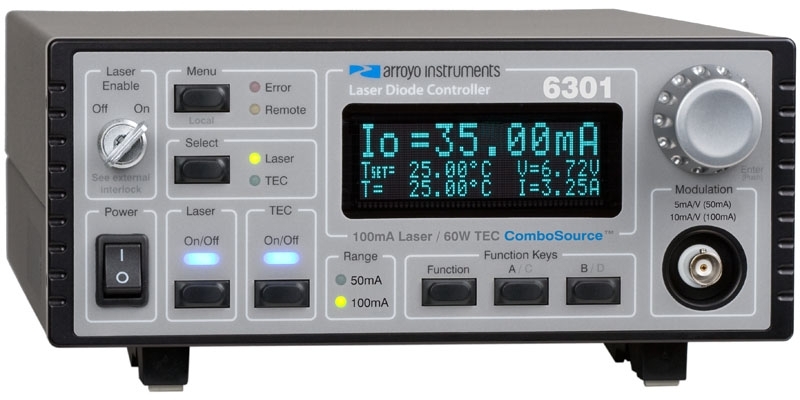 Select the minimum current for your laser diode. Voltage – Defines the voltage required for the number of laser diodes in series. Select the minimum voltage for your laser diodes.